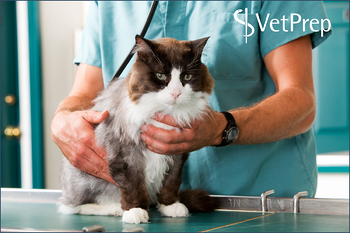 Symmetric Dimethylarginine (SDMA) is a biomarker that can be used in interpretation with the creatinine, BUN, and urinalysis to help diagnose renal insufficiency in pets earlier on in the disease process. SDMA is a methylated form of arginine (an amino acid) that is released into the circulation as the protein is broken down and is excreted almost exclusively by the kidneys. It is a biomarker for kidney function and therefore is a good estimate of the glomerular filtration rate (GFR). This biomarker increases with the loss of 40% of renal function (as compared to creatinine which does not increase until 75% of the renal function is lost). SDMA is not affected by factors other than kidney function and is therefore very SPECIFIC.